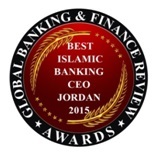 Jordan Dubai Islamic Bank (JDIB) has been awarded three awards for the year 2015 by Global Banking & Finance Review (GBAF); “Best CSR Islamic Bank Jordan 2015”, “Best Islamic Banking CEO Jordan 2015”, and “Best Islamic Banking Jordan 2015”. These accomplishments are testaments to the commitment and dedication of JDIB team to excellence, innovation and progression. In a highly competitive market, this independent recognition is greatly appreciated by Jordan Dubai Islamic Bank, which deserved these awards for its remarkable momentum and well-balanced performance. The Bank has been managing to harness the growing importance of Islamic banking in Jordan and the region since its inception. Global Banking & Finance Review, and since its establishment in 2011, has been reflecting achievement and improvement through awards that were created to recognize organizations of all sizes which are pioneering in areas of expertise and brilliance within the financial world. 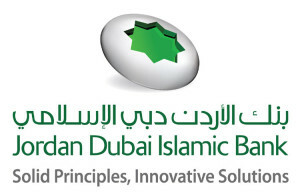 Jordan Dubai Islamic Bank was always amongst the top candidates according to these criteria. With the global award “Best Islamic Banking Jordan 2015”, it shows what an impressive reach Islamic Banking has established. Jordan Dubai Islamic Bank strives to grow and the services it provides continue to innovate and impress, proving to be one of the top pioneering Islamic bank that provides the largest range of Sharia compliant retail financial products. On another hand, 2015 is the year where all eyes are on JDIB’s CSR outstanding activities. The “Best CSR Islamic Bank Jordan 2015” award represented the recognition of significant improvement and leadership in helping the local community among local and regional banks. This award underlined that JDIB is capable of improving standards in the field of Corporate Social Responsibility through programs and practices on environmental sustainability, governance, ethics, and social investment programs. Every year there is an improvement in terms of quality of services provided, where JDIB consistently demonstrates a commitment to excellence, thanks to a forward thinking management who is constantly striving to exceed expectations. The “Best Islamic Banking CEO” award is a recognition and tribute for JDIB management who has made a qualitative and quantitative difference to the communities that it serves.